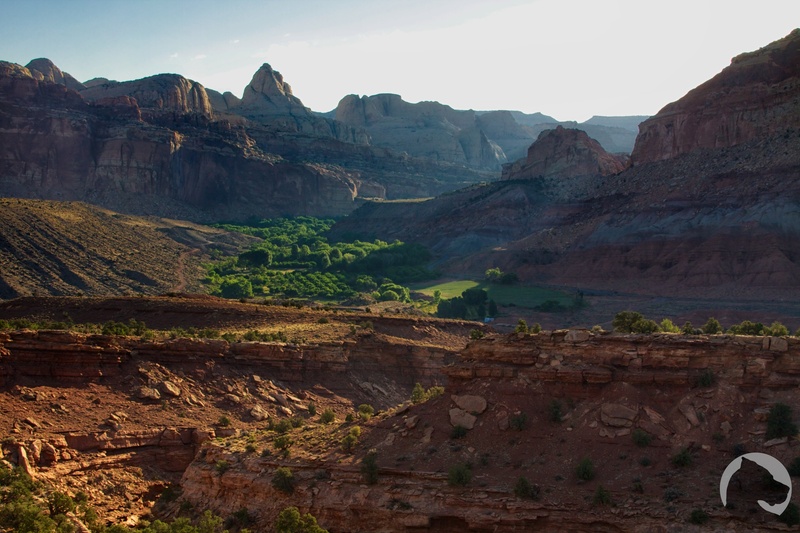 As mentioned in a previous post, Capital Reef is a 1-paw park. Pets are only allowed along roadways, developed areas the picnic area and campground. Even though the park lacks pet friendliness, it is still worth a visit. The Fruita campground is surrounded by apricot groves where you can walk your pet and pick fruit during the right seasons but watch for deer which enjoy spending their time in the shade and eating the fallen fruit. A trail starts at the campground and follows the Fremont River for a ways before climbing 480 feet to an overlook of the valley, campground and groves. As we reached the top of the 1.5 mile trail the silence was broken by the sound of 2 Great Danes barking from the campground. When we returned we asked the nearby campers and they said a car alarm had caused them to briefly bark from the trailer but they quickly became quiet once again. 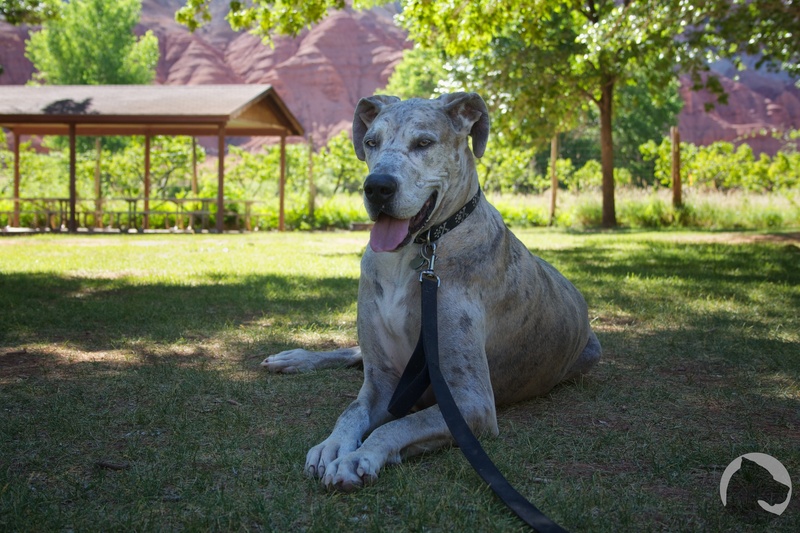 This entry was posted in Dogs and National Parks, Great Danes, Pet Photography, pet travel and tagged Capitol Reef, dogs, Femont River, Great Dane, Great Danes, hiking, K'Ehleyr, National Parks, traveling, Utah. Bookmark the permalink.